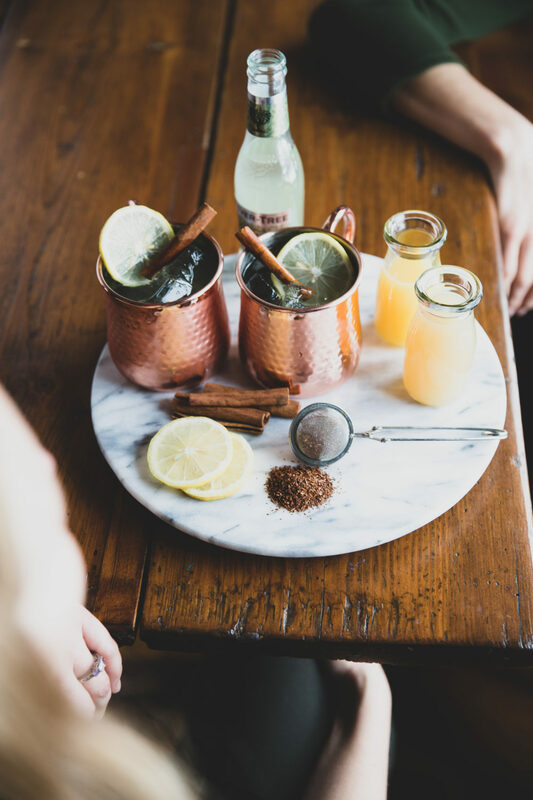 Build in glass or Moscow mule mug, top with Ginger beer, garnish with cinnamon stick, or candied ginger. This is a play on a Moscow mule, the name Yakutian is a rare breed of Siberian horses bred to withstand sub zero temperatures. * Rooibos, is an earthy, amber-colored herbal tisane with a deep, wine-like quality and a smooth honey-like sweetness. Brew 1 cup of very strong Rooibos tea, add 4 cinnamon sticks, add 1 cup of sugar, heat until dissolved. Lime, ginger beer & vodka.